Getting your Apple devices repaired once your warranty expires can be incredibly expensive and people who know a lot about computers prefer to do the repairs on their own. 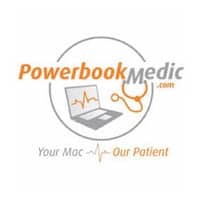 Powerbook Medic is an online store that carries an extensive list of products that can help you to repair your Macbook and iMac computers. When you land on their website you’ll be able to take a look at the replacement parts that they have in stock. You can also choose to send your computer in for repairs or read through their repair guides if you want to learn how to fix your device on your own. For most up to date offers check out Power Book Medic on Facebook and Twitter or contact Power Book Medic Support for any questions.